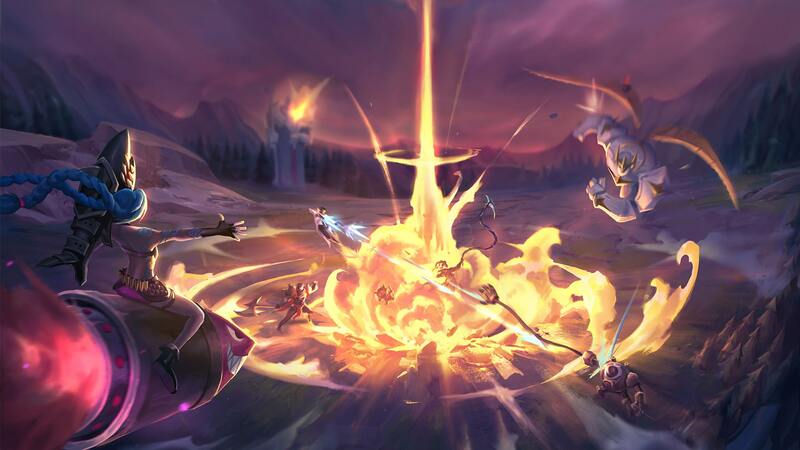 Nexus Blitz is coming back for a 2nd test with new events, improved visuals, and—as always—mayhem. It’s been about a month since the last time you catapulted from base into a surprisingly rowdy scuttle crab race during the live alpha test of Nexus Blitz, our first experimental game mode. Over the last few weeks, we’ve been poring through all your feedback and analyzing data from every region with playrate graphs that look like abstract impressionism. We’re no art critics, but the interpretation is pretty clear: Nexus Blitz showed some promise, so we’re bringing it back for a second test run, targeted for patch 8.24! We’re here today to talk about the common themes we saw in your feedback and chat about what we’re looking to change for round two. But I thought Nexus Blitz was gonna be permanent? 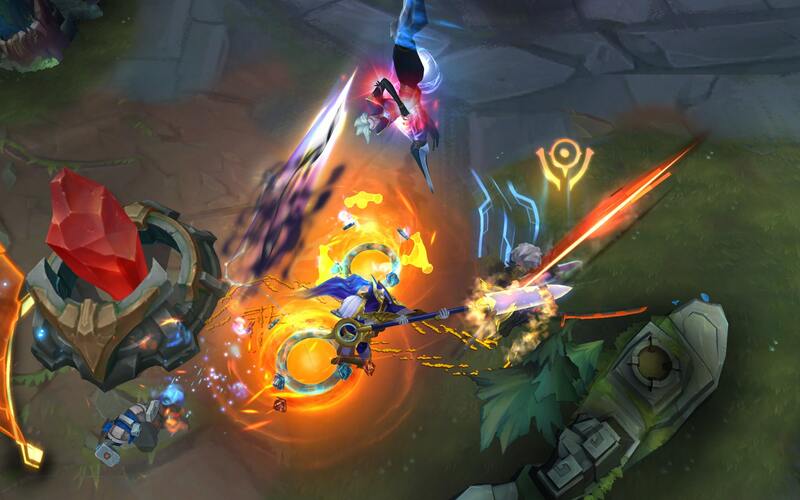 Nexus Blitz was a smash hit for some players, which is a great sign. On the flip side, there were some clear shortcomings in the mode that meant we didn’t end up seeing the sustained levels of engagement that would’ve moved Nexus Blitz directly into becoming a permanent feature. Fortunately, we’ve identified a few focus areas where we can make some significant improvements based on alpha feedback. The purpose of this second test is to see if our updates hit the mark for players who decided the first version wasn’t their cup of tea, as well as for players who never took the mode out for a spin during alpha. Clean up some of the roughest visuals. The edges of the map and the base area are some of the biggest offenders here. Improve clarity in areas you where spend the most time. Improving the quality of the map in high-traffic areas, like the base, should make it easier to tell at a glance exactly where you are and what important map elements and objectives are nearby. 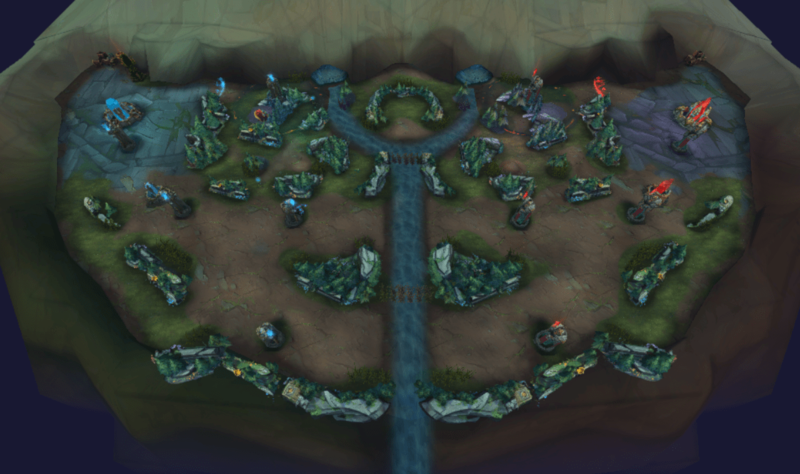 As we’ve mentioned before, if Nexus Blitz is fully launched after this test, we won’t just refine the map—we’ll give it a new, unique visual and thematic identity! Build in relatively calm periods. We aren’t adding SR’s laning phase, but we want teams to have somewhat-lower-intensity periods to take stock of the game state. We think getting a chance to plan your next move will help the 5v5 mosh pit that follows have a clearer purpose. Improve event clarity. We’re exploring ways to make it clearer which event is happening and what you should be doing to win it. Improvements here could be anything from tooltips to HUD elements to audio cues. Improve map clarity. The clean-up mentioned in the previous section should help here too. Add new events and rewards! Because variety is the spice of life and Nexus Blitz is a spicy mode. Change or remove frustrating, boring, or unbalanced events and rewards. You’ll probably always have favorites based on the champion you’re playing, team comp, or personal definition of fun, but no option should feel consistently bad to encounter. We’ll also continue tuning event spawn locations, and we also want to make the system a bit smarter in terms of which events and rewards are active at different points in the game. Keep working on balance. Nexus Blitz alpha launched with a preemptive balance sweep, and we shipped a bunch of balance hotfixes throughout the four-week test. Going back over the numbers, balance was actually quite solid for our first run out of the gate—there were champs across all classes worth taking, and the vast majority of champions were able to jungle with a synergistic partner. We’ll have another balance pass ready to go for our second test, informed by alpha test data and supported by the pacing and event work we mentioned earlier. Improve matchmaking, especially for the first few games. We’ll be able to start players off closer to the MMR they’re likely to settle at after many games of Nexus Blitz. This should reduce the number of blowout games for new entrants as well as players who are hovering around the average MMR level. Nexus Blitz was designed for non-competitive fun, and being able to play whatever you want is a big part of that. That said, we get it’s not super fun to run into the same champs over and over, or to constantly deal with a champ that’s frustrating to play against. We tested bans in OCE for one weekend at the end of alpha to observe what would happen and are exploring other potential ways to solve the staleness/frustration problems. We haven’t made a final call yet, so the answer to the bans question is a noncommittal “maybe” for now. Well, you actually said “Give us ranked.” Unfortunately, ranked is about as far in the opposite direction as a feature can go, relative to Nexus Blitz’s goal of being a fun-first, lower-stress mode. On the other hand, ranked isn’t the only way we can give you stuff to do across multiple games, and we’re looking into what we can pull together in time for test two. Longer term, we think there’s lots of space for progression and recognition systems that don’t currently exist, whether in Nexus Blitz or another Experimental Mode entirely. Like map theming, though, those ideas will take a ton of time to build out, so we want to make sure we’ve got a real winner on our hands before we dive in. You said: (Nothing, because you didn’t know about Nexus Blitz or why you should play it). Your chance is coming! We hope you’ll give the new and improved mode a try when it returns in patch 8.24 at the end of the year (and tell your friends if you think they should check it out).